At Large Cabin Rentals, we are very fortunate to be able to cater to a variety of different vacation types thanks to the versatility of our cabins. However, there is one vacation type that our cabins are extremely suited for that you may not realize, Pigeon Forge cabin weddings. It’s true! Our large cabins are perfect for you and your special someone to say “I do” in the heart of the Smoky Mountains. Now, that being said, how exactly should you go about planning your big day inside one of our spacious rentals? Read through our tips below and you will be well on your way to planning the perfect cabin wedding in no time! When it comes to planning a destination wedding in Pigeon Forge, the location is key. You want to find a space that is both inviting and romantic. Not to mention, you probably want one that offers a beautiful view to accompany all of our wedding photos as well. That is why the first step to making sure that you plan the Pigeon Forge cabin wedding of your dreams is to find the perfect rental for your big day. At Large Cabin Rentals, we have everything from spacious 4 bedroom cabins all the way to huge 16 bedroom cabins for you to choose from. This means that no matter how big or how small your wedding party will be, we have more than enough space to accommodate you. Click here to see a full list of all of our large Pigeon Forge cabin rentals. Once you have decided where you will be hosting your wedding, it is time to decide who all you want to invite. As we mentioned before, we have cabins that can house any size wedding party and guest list, so it doesn’t matter how many people you invite to your celebration. However, it is important for you to know who all is planning on witnessing you and your loved one join hands in holy matrimony. This is the time when you decide if you just want to share this experience with close friends and family or if you want to extend the invitations to include your neighbors and other loved ones as well. For us, we always think the more the merrier when it comes to Pigeon Forge cabin weddings. This will give you the opportunity to share you experience with more people, create even more memories, and stock up on a few extra wedding gifts in the process. Once you have finalized your guest list, you can begin to book things like catering, formal invitations, floral arrangements, and more. The next step to making sure that your cabin wedding goes off without a hitch is to make sure that you get all of the paperwork out of the way before the ceremony starts This includes making sure that all of the vendor checks you need to give away are signed and organized where they can easily be distinguished. This also means that you might want to consider going ahead and get the signing of the marriage license out of the way. The last thing you want to have to handle in the middle of your reception is to scrounge for a pen and an envelope to mail off your license before enjoying your honeymoon. Click here for details on everything you need to know about getting a marriage license in Sevier County before your big day! Just like you don’t want to be stuck shuffling around paperwork and tracking down checks for vendors, you probably won’t want to be interrupted while getting ready with questions like where to set up and where guests should sit. That is why we recommend that you assign a go-to person for vendors and guests to report to while you and your soon-to-be spouse are enjoying your celebration. If you need help finding a go-to person for your cabin wedding, let our friends at Your Smoky Mountain Wedding help. They will be more than happy to assist you in making sure your big day is as perfect as you imagined. You can find more information about their expertise in in-cabin weddings by visiting their website at http://yoursmokymountainwedding.com/cabin-weddings/. It wouldn’t be a memorable Pigeon Forge cabin wedding without some delicious food and dancing, so don’t forget to check out our list of all of our favorite Pigeon Forge wedding vendors to help you on your big day. From catering to photography to a relaxing spa day, these companies will be more than happy to make sure that you and your loved one have the best wedding imaginable. 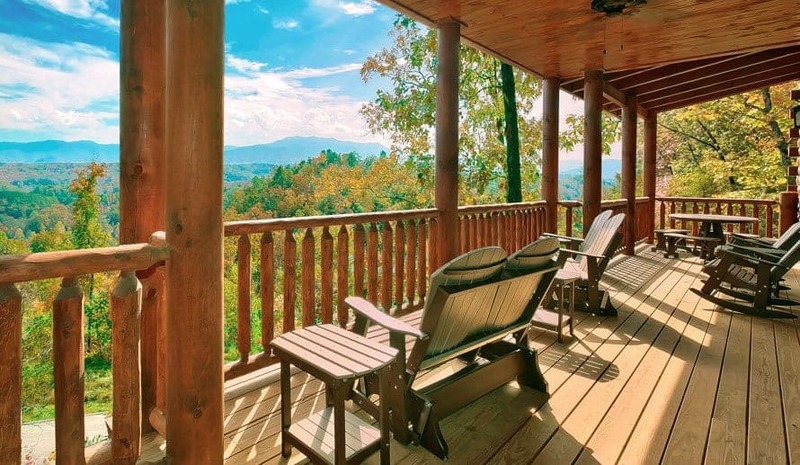 5 Questions to Ask When Choosing Large Group Cabins in Pigeon Forge TN4 Things You Didn’t Know You Needed From Pigeon Forge Luxury Cabins —Until Now!